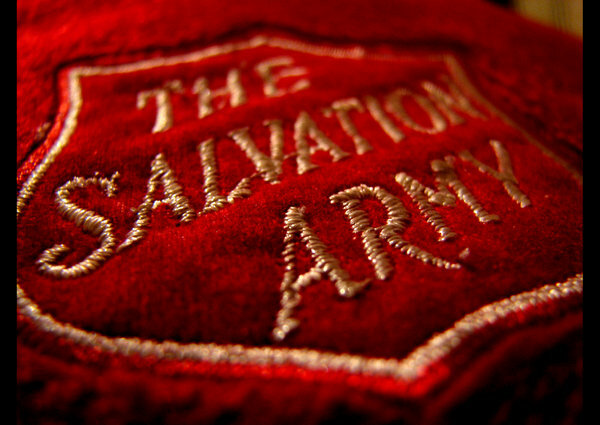 Today we ponder The Salvation Army’s quote of “Saved to Save” and why I don’t necessarily agree with it. Clarification: I am not discounting the fact that God can save us, in fact that is the crux of this statement in my opinion. Dear Salvation Army, I don’t believe we are saved to save. I believe the Holy Spirit has saved us, I am not disagreeing with that by any means. I know what it means to kneel at the altar of repentance and receive forgiveness and salvation. I also believe in the second blessing – the Holy Spirit’s indwelling in our lives. When He takes up residence in our lives we begin, with His direction and prodding, the intentional shift of reflecting more and more of Christ and less and less of our old lives (Holiness). Thus when we are saved we do not go out and save others. I believe that the saving is NOT the work that we have been called to do. Instead, we are called to be holy. In this response we begin to see others the way Christ sees them. We begin to love the way Christ loves. It isn’t perfect…and perhaps it may never be, but the initial transformation must begin internally before it can be transformative in the lives of others. I am not saying we aren’t called to lead others to Christ. I am also not saying that we don’t show care for others. In fact we, through this internal transformation, begin to see the necessity to usher others to Christ. We begin to understand how vital the new life is for others. Here is where I draw the line. Here is where I wage and struggle with the Salvation Army’s understanding of this quote. Whose work is it to save? Who does the prodding of the heart and the pleading of the soul? Who takes aim at the conviction of sin and implores the search of forgiveness? For me the answer has always been the Holy Spirit. What are we as Soldiers of the cross to do? We sing songs like “The world for God” and “Marching on“, and I wonder if we sometimes turn the warfare of sin and the spiritual realms into something narcissistic, and it then becomes all about us? It then becomes all about what WE can do instead of what the Holy Spirit IS doing. 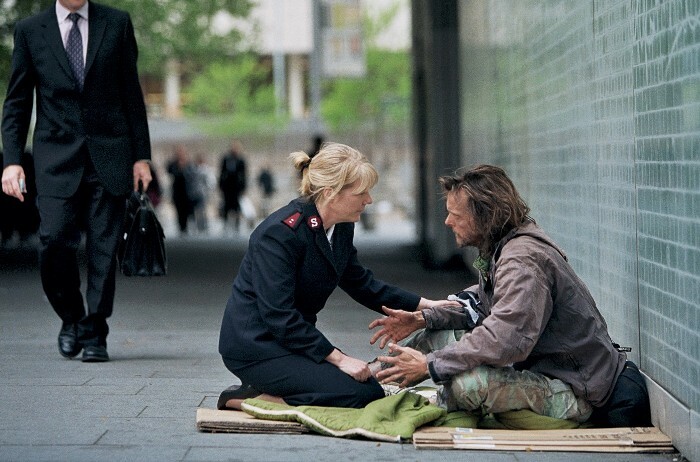 There is always the temptation to say look how wonderful The Salvation Army is, look at the amazing things that we have done and the amazing things that we are doing. Slowly, the focus is taken off of the Holy Spirit and more on our shiny uniforms, our programs and our feats and accomplishments. I am not saying that we always do this, but I am saying that it does become a temptation, that it does enter into our thoughts and motivations. Our responsibility was never to “saved to save”. Our responsibility was never to be the salvation of man. We are merely the conduit of this amazing grace. We are merely called to be faithful. Our responsibility is first a call to faithfulness to The Holy Spirit. We can do nothing without this first response. We are powerless to save anyone let alone ourselves. How can we then say that we are saved to save? I am more inclined to say we are saved to serve. We are saved first, and then most importantly, we serve and respond to the Holy Spirit. Then, and only then, we are saved to serve suffering humanity. This response can be simultaneous and should compel us to respond as Christ would to the suffering of others. We must respond to His call on our lives to serve Him as HE saves! Without Him we cannot save. Without Him we can only do good works and be another social service agency. That isn’t all bad, good things are done here…BUT we are called to be more. We are called to BE holy…and from this calling, we serve Him and in turn we serve others. You may differ from my opinion…that’s fine. We are called, and from this calling we go. Regardless of if we are “Saved to Serve” or “Saved to Save”, may our immediate response to the Holy Spirit be one of obedience. Something more for This Army of Salvation to ponder today. Previous Post Previous post:PastorsPonderings Wins Blogging Award!!! All I can say is that I agree. Living lives of Holiness will transform the Army and our communities. Being people of the Word. I am excited to see how our Army will change as we read through the New Testament together. Good things are beginning to happen in our congregation. I can see God moving. “Be merciful to those who doubt; Save others by snatching them from the fire; to others show mercy, mixed with fear—hating even the clothing stained by corrupted flesh”. As you do these things, do not let pride rear it’s ugly head. I agree 100%, I must say I liked very much the point you were conveying. It is God who truly saves, not us perse. His Holy Spirit hovering saving those God chooses. Good job brother!!! We are called to holiness for sure. 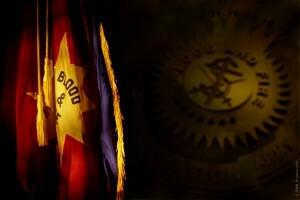 However, we are also called to the battle against darkness, evil and Satan. We are called to be aggressive in our Christianity ( I think the Army Mother may have written a little about that!) It is certainly God who does the saving. However, we can’t sit back and do nothing. We are called to share the good news and lead folks to the saving grace so freely provided. Of course we can’t “do nothing” we must do something and I would never prescribe doing nothing. In fact once we are obedient to the workings of the Holy Spirit, we are then inclined to become more involved in the great commission because we are compelled by love and compassion for those who are still lost. Totally agree. For the record, I clearly know, from your past posts that you did not advocate doing nothing. My reply was certainly not directed toward you or your ministry. However, I know that within some evangelical circles there are some who build walls around themselves so as to separate from the world. They work towards building up the saints with little regard to outreach and evangelism. 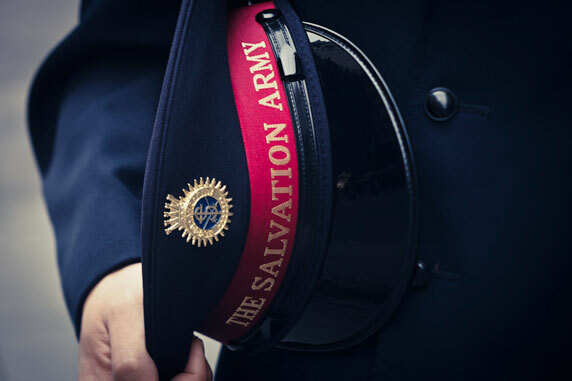 Having known what I know about The Salvation Army in the French language, I am a little lost by that statement: Saved to save! In French I have always known it to be “Sauver pour Servir” (Saved to Serve). Hence I agree with your final statement that we are saved so we can serve suffering humanity. All along, I thought the original English statement said that, as it is known and translated in French? William Booth actually coined that phrase “Saved to save” first, it certainly got changed later on but I believe some still think the first draft “saved to save” is what we are and what we do.